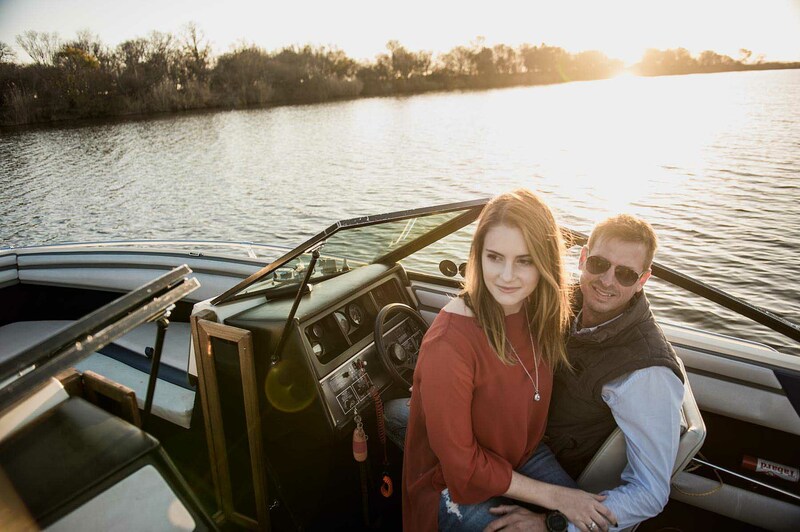 When you are doing an engagement shoot for a gorgeous Bride which has got a speedboat on De Vaal river…. you are smiling all day! Anthea and Jacques are getting married in October on a private family estate overlooking De Vaal river near Johannesburg, but before that happens, we got to do an engagement shoot. If you ever been in this area, you know that those properties are something else! Spacious land, rolling lawns coming down towards the river banks and holiday houses that are nothing short of mansions. Every property has a private jetty with a few speedboats floating around. But the most beautiful is the nature! 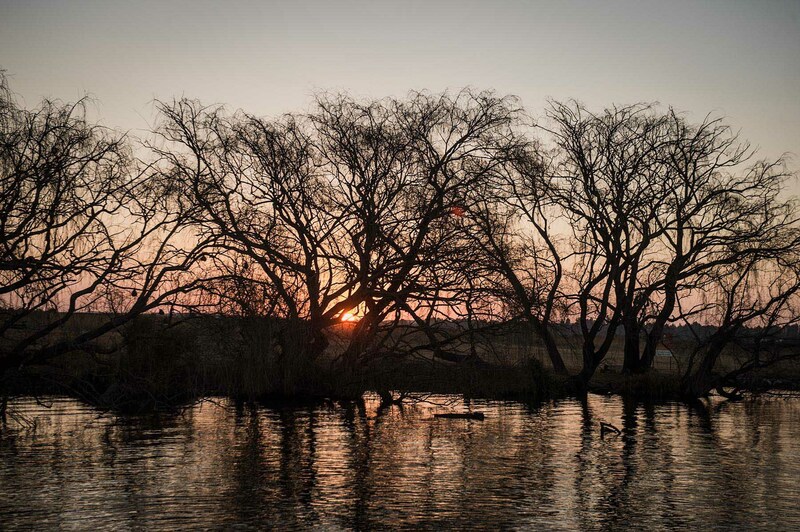 Vaal river was quiet and tranquil when we arrived, almost inviting us for an evening stroll. Just perfect for an engagement shoot! The light is magnificent on the property. Soft, warm, gently breaking through the trees. We took some photos in the greens surrounding the house and took a walk towards the river. Afternoon sun was bouncing on the water, creating shimmering patches of light. How beautiful! Anthea looked effortless and oh so chic in her coral red top and brown boots! Finally we took the boat onto the river. There is something absolutely magical about the speedboats (Thank you, Gareth, for sailing up and down)! We got to enjoy the sunset on the river. Winter chased most residents out of their holiday homes, so we were the only boat on the river. So special! Anthea and Jacques enjoyed a glass of bubbly and warmed up to their engagement shoot! We finished as the sun dropped behind the horizon. I’m so looking forward to coming back to this magical place! See you again in October, beautiful Bride! We are going to create some memories!